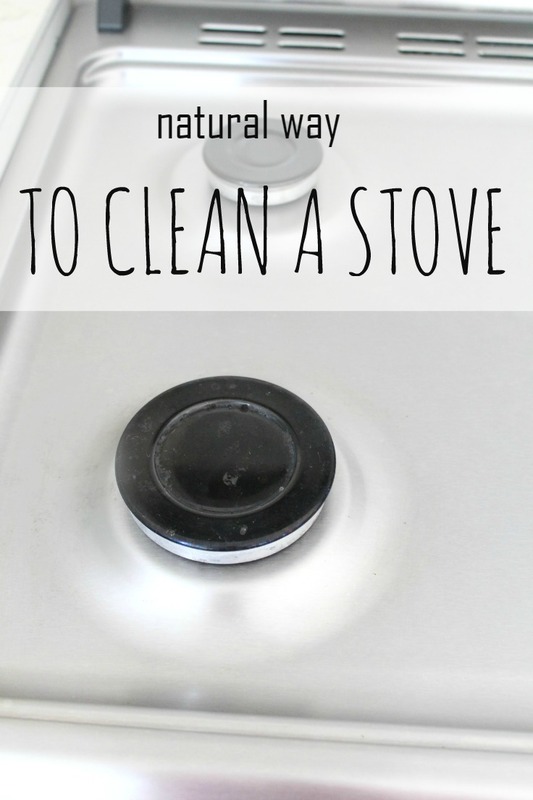 Cleaning your stove top is so easy and quick when you know how to do it! Wanna get it to shine the safe way? Here’s how to clean a stove naturally without scratching your stove top or scrubbing the life out of you! Until I discovered how to clean a stove the natural way without scratching and damaging my beloved stove, I’ve literally loathed cleaning my stove top! Mainly because I never got time to do it right after I cooked a meal. The grease kept building up until there wasn’t much left to do to get rid of it. Unless I used store bought cleaners which I also hated deeply because they were stinging my eyes and hands and left red, painful spots on my skin. I can’t wear gloves all the time, they make cleaning a lot harder for me so any oven top cleaner was literally eating my skin! Not a pretty view but at least the stove was spotless, I should be happy, right? Well, wrong! I wanted more, I wanted something to help me clean easier, I wanted a natural stove cleaner, much healthier for myself, my family and safer to the environment! And since I cleaned my pans so successfully with this method, using my citrus vinegar cleaner and baking soda, I figured this cleaning idea would be fine to use in my method for how to clean a stove. But I was afraid the mixture won’t be strong enough for my super dirty stove so I added fine table salt and left the mixture overnight to work its magic. It did a really good job at melting the grease and the burnt spots, except for a little spot which I had to clean again using the same method. My stove was very greasy and had severe burnt spots so it took some extra work but for a regular stove, it shouldn’t be that hard. It was literally best stove top cleaner I’ve ever had to use! 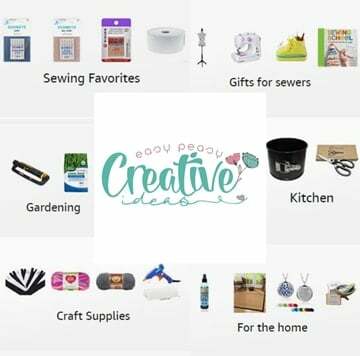 A little note: it did take longer to work than the store bought cleaners. But I’m more than happy with the results and especially that I managed to keep my house and lungs free of chemicals and fumes. The citrus vinegar cleaner I used is highly concentrated and when in contact with baking soda, it bubbles up and lifts the grease off the stove. Salt acts as a mild abrasive and will remove stains while melting the grease. If you don’t have a citrus vinegar cleaner it’s perfectly fine to use regular white wine vinegar and just add a few drops of essential oils of your choice to make it smell nice and cover the pungent vinegar scent (though I found that for this method on how to clean a stove, the citrus cleaner works best, in my opinion). 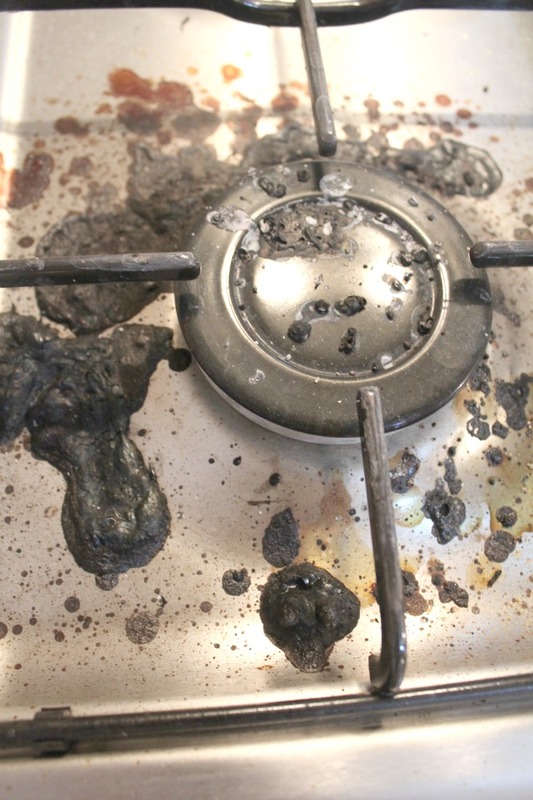 So if you ever wondered how to clean a stove the natural, safe way, now you know! I’m pretty sure that once you tried this method you’ll never go back to the traditional way, using harsh cleaners.